I am back after a week long trip to Yellowstone National Park and Grand Teton National Park. My friend Henrik had invited me along to join him and Jesper, who flew in from Copenhagen, for this trip. We had five great days in the parks. The weather was superb with sunshine and daily highs around 20 degrees. Amazing! We arrived Saturday night and was surprised to see how busy the town of Gardiner was. We couldn't find a single room and had to back track to Livingston. 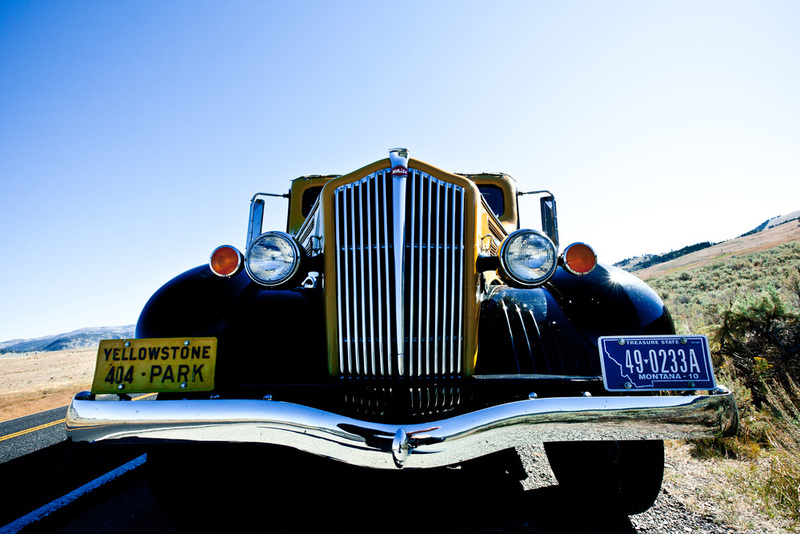 We got up early Sunday and headed towards Yellowstone. Getting through the gates you immediately appreciate the wast untouched nature. We headed out the Lamar Valley and the first wildlife showed up in the shape of Bison and Pronghorn. We went for a short hike at Trout Lake and it was so quiet that you could hear your ears ring. We saw an osprey here and sat down for a while enjoying a quiet moment. Back in the Pathfinder we decided to make a stop at Mount Washburn. For a moment I thought it was just a quick stop but we hiked for about an hour to the summit at 10,243 feet. It was just spectacular; the view, the fresh air and the exercise was great after sitting in the car for a good while. (17 hour drive from Vancouver). 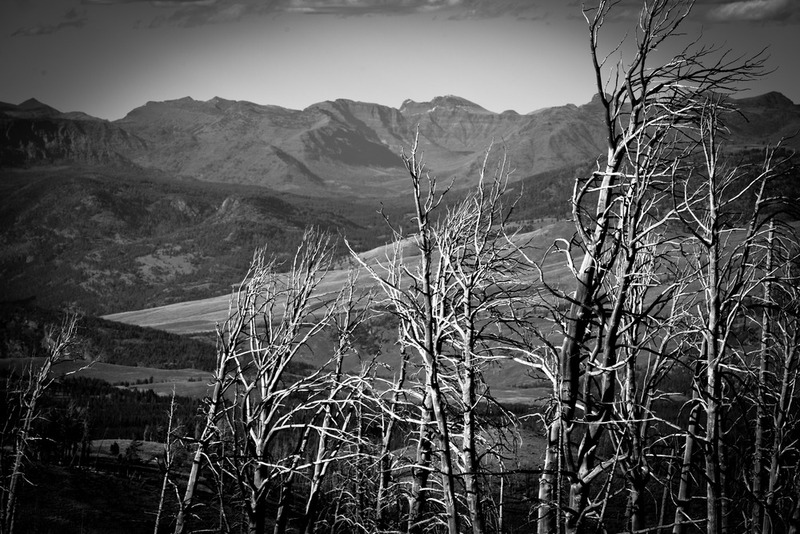 On this hike it was easy to see the aftermath after the fires in 1988, which burned approximately 36% of the park. 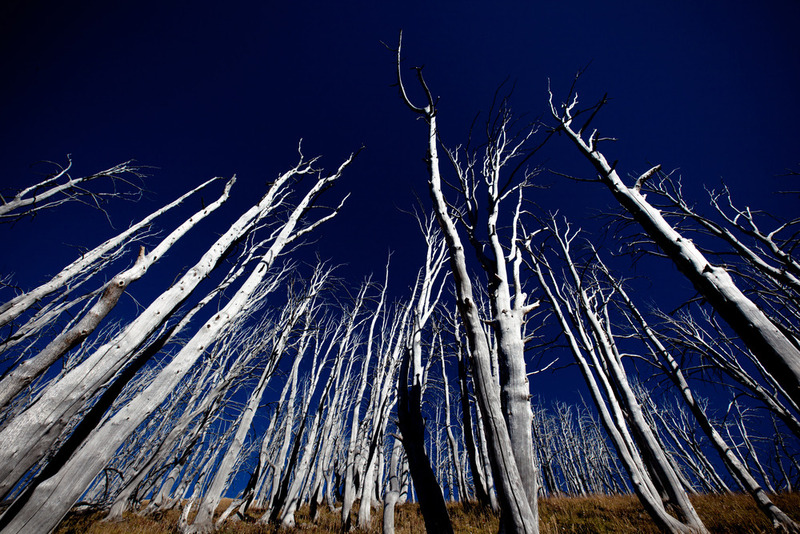 The dead trees stand in a stark contrast to the bare hillsides. After the hike I told the guys we would be rewarded and I predicted we would spot a bear before long. Not something you can take for granted here. Only minutes after I had mentioned it we came upon a mother grizzly and two cubs. First we saw them taking in food below the road just going about their business and not the slightest bit concerned with the onlookers. The situation however took what felt like a dramatic twist when the mother lead to two cubs up the embankment and across the road right where we were parked. We quickly grabbed a few shots and then made a mad dash for the car. The grizzlies continued up the hill right next to the car so we managed a couple of shots by sticking our head out the sun roof. Afterwards we got out of the car and immediately starting checking our shot. I will admit my legs were shaking a bit at this point. Exhilarating to say the least. We ended this first day on a more relaxing note by taking in the sites at the Norris Geysers. We arrived with perfect timing right at sundown. Are great way to end the day. 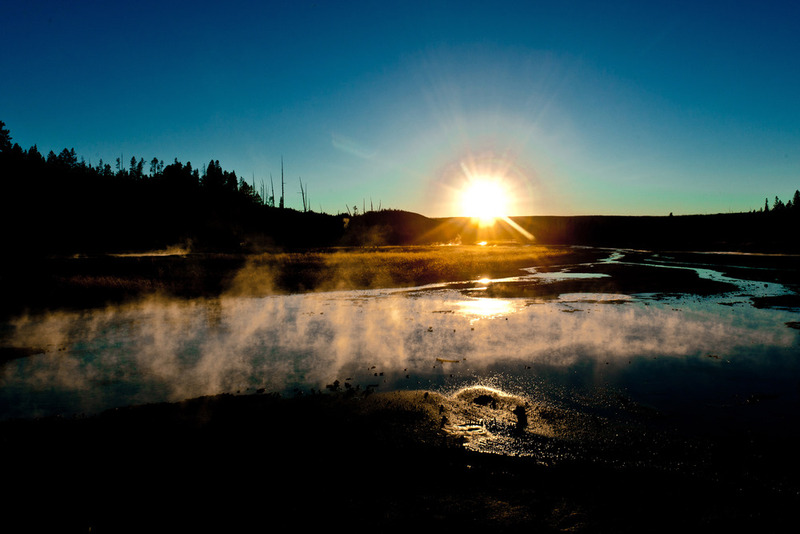 Please follow the link to View More Photos from Yellowstone National Park.